Donahue, Brian M. "Review of "The American Farmer in the Eighteenth Century"." by Richard Bushman. William and Mary Quarterly vol. 76 January, 2019: 151-155. Lefland, Aaron, Huff, Emily S., Donahue, Brian. "“A Community Forestry Model Linking Research, Management, Education, and Stakeholder Engagement: Case Study Results from the Town of Weston, Massachusetts, USA,”." Small-Scale Forestry published on-line December 2017. awaiting assignment (2018): 1-10. Donahue, Brian, et al. A New England Food Vision: Healthy Food for All, Sustainable Farming and Fishing, Thriving Communities (booklet). Durham, NH: Food Solutions New England, University of New Hampshire, 2014. Donahue, Brian. "Historian with a Chainsaw: Teaching Environmental History in the Field." OAH Magazine of History 25. 4 (2011): 33-35. Donahue, Brian; Hagenstein, Edwin C; and Gregg, Sara M.. American Georgics: Writings on Farming, Culture and the Land. New Haven, CT: Yale University Press, 2011. Foster, David R., Donahue, Brian et al. Wildlands and Woodlands: A Vision for the New England Landscape. Petersham, MA: Harvard Forest: Harvard University Press, 2010. Donahue, Brian. "Another Look from Sanderson's Farm: A Perspective on New England Environmental History and Conservation." Environmental History 12. 1 (2007): 9-34. Donahue, Brian. "The Greatest Good: A Forest Service Centennial Film." by Steve Dunsky et al. Environmental History vol. 12 177-79. Foster, David R., Brian Donahue, et al. Wildlands and Woodlands: A Vision for the Future of the Masschusetts Forest. 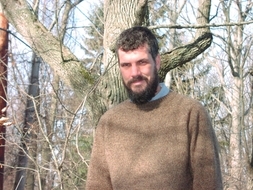 Harvard Forest Paper, 2005. Donahue,Brian M. "Environmental Stewardship and Decline in Old New England." Journal of the Early Republic 24. (2004). Donahue,Brian M. The Great Meadow: Farmers and the Land in Colonial Concord. Yale Univeristy Press, 2004. Donahue,Brian M. Reclaiming the Commons: Community Farms and Forests in a New England Town. New Haven: Yale University Press, 1999.